Knock... and it shall be opened unto you. Interested in Getting To Know Us? Thank you for visiting the Kasson Mantorville #11 lodge homepage. On this site, you will have the opportunity to learn about our activities, and also about who we are. If you are interested in upcoming events for the lodge, please visit the upcoming events page, or the calendar. We believe in our community and do our best to support it through our various programs including: scholarships, Kids ID, and a whole slew of other activities you can read about on our involvement page. If you agree with our mission, and would like to assist us in helping the local community, please consider making a donation to one of our many causes. The lodge door is located behind 5th and Clay street. The lodge itself is above the post office - look for the square and compass on our door (facing Clay street), and go up the stairs. Please be sure to check out our website: https://t.co/GDPf0rgeXu. Calendar is updated. 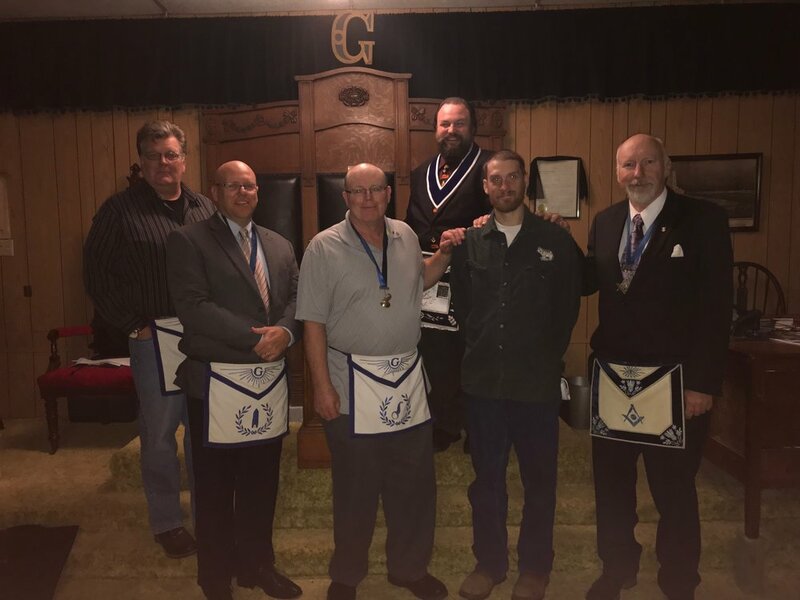 Thanks to all that helped make the first degree a success. Welcome Adam! Join us for the second degree on 4/10. Exciting updates - making changes to the website. Make sure to keep checking it for upcoming events.